Join The Digital Diplomacy Coalition Would you like more information about the Digital Diplomacy Coalition? Sign up to receive event invitations and other news. Your contact information will not be shared with any third party organizations. 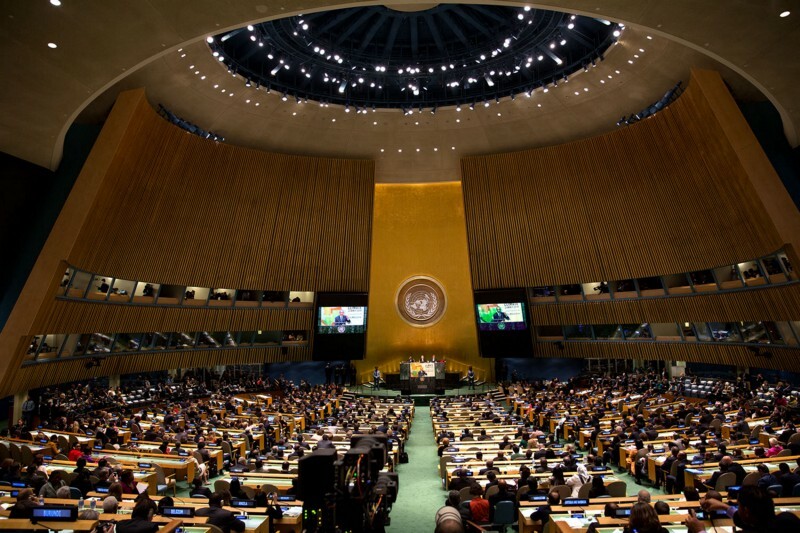 For most in the international affairs and global development fields, the month of September marks an annual milestone — the United Nations General Assembly. While this is a moment when eyes are focused on the UN, the work and impact of the UN system is year-round — and so is their communications effort. 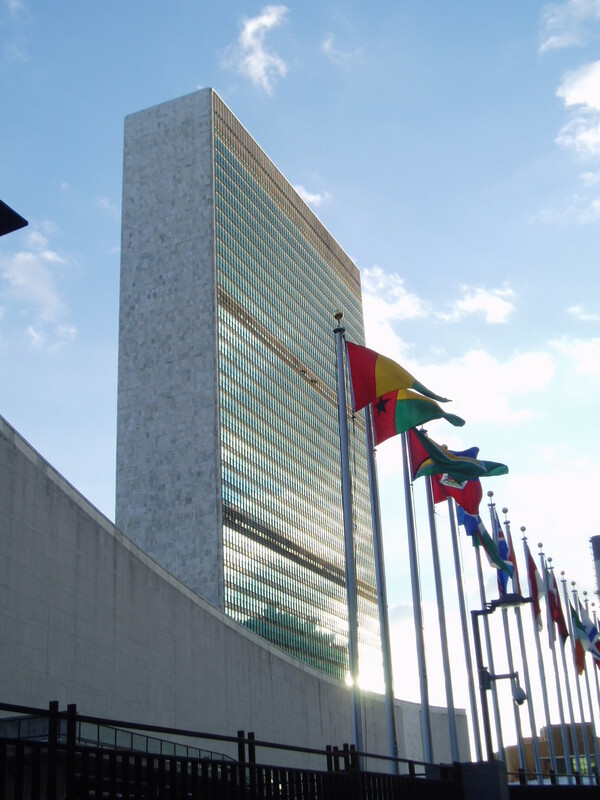 From global crisis to political shifts, the UN is faced with many challenges. Engaging the world around them, however, is an area where the UN has excelled. Adapting to technology, diving into new platforms and working to ensure the UN connects with the world’s people is no easy task, but the organization has stood out as a leader in digital communications. Recently, I spoke with Nancy Groves, head of the social media team at the United Nations, about the impact of social media and technology on public engagement efforts and how these tools contribute to the mission and success of the UN. What role does social media play in advancing the UN’s critical mission? Nancy Groves: We know people are spending increasing amounts of time on social media platforms discussing UN issues so it’s important that we are contributing to these conversations. Sometimes we may put out materials we hope people will share related to campaigns on climate action, peacekeeping, human rights or other priority issues. Other times we correct misunderstandings about the UN’s work. For example, so much of what is reported as “UN” decisions are actually the decisions of our 193 member countries, or more often the decision of the 15 countries on the Security Council. We find it’s really useful to remind people how the UN works. With so many individual member countries and diverse international priorities, how does the UN social media team work to ensure a strong presence that reflects the work of the UN while also truly engaging the people of the world? NG: We try to be very selective in what we post and only share content that is timely and of interest to the widest possible audience. This is a challenge when the UN works on so many important issues and sometimes there is pressure to post something that’s only of interest to a small subset of people — or even one country. Social media is, however, an important tool for transparency so letting people understand how the UN works is very key. We try to create “explainer” content or materials that provide background context in an easy to understand way. We also use visuals as much as we can since photos and videos can show so much more than text. How has social media changed the UN General Assembly meetings? What does this mean in practice? NG: For one thing, so many countries are now tweeting their own content. They’re posting what is happening in negotiations, their country’s position in negotiations or votes and then they are showing what it’s like to work at the UN representing their country. They host their own Q&A sessions and create their own video recaps. It means that if you want to find out what’s going on at the UN, there is really a huge amount of information out there now. While the UN is a popular tourist destination in places where we have major offices (New York, Geneva, Nairobi and Vienna), we realize that most people will never have a chance to walk through the doors of the UN in person. Social media can be a virtual door and we hope that makes it more relatable in many ways. Not all of the world is connected. Does the UN’s use of social media take this into account and find other creative or technical ways to engage wider audiences? NG: We work in a big department made up of many information professionals working in over 60 countries, so we have no shortage of experts on hand to advise us on how content may play in their country and region. There are colleagues who also still produce more traditional types of content like radio programs and print materials. For social media, we are discussing ways to better target our content to specific audiences. For example, we would like to start creating content specifically for women who speak Kiswahili and are under the age of 35. That’s just one example. At some point, the end goal is to make sure all our content is relatable to everyone, everywhere. That’s truly impossible of course especially since our team is still relatively small. We have two people working on content for each of our 9 languages. Others contribute to content production, but just having two people per language means we are never short on work. In addition to social media, what has the UN been doing to explore working with AR or VR? Other developing spaces? And, what’s next for UN social media? NG: Over the past few years many parts of the UN System have produced some very compelling VR films documenting how the UN works and how issues on the UN agenda affect people around the world. For example, the UN Population Fund produced a film on what it’s like to give birth in a crisis zone. Earlier this year, celebrating 70 years of UN Peacekeeping, we produced a special film in partnership with Time magazine. People who visited the UN were able to “see” for themselves what it is like to work on UN Peacekeeping missions, the sacrifices people make to serve where others often don’t want to (or can’t) go and also the impact of UN Peacekeeping. Apart from the communications role, colleagues at the International Criminal Court are using it to help witnesses prepare for their court appearances. They’ll be able to feel what it’s like to take questions, hear the sounds of the court, etc. That way, they’ll feel more comfortable and hopefully be able to better focus on telling their important stories. I’m sure there are many more examples of how these emerging technologies can be used for good all across the UN family. When it comes to social media, we are talking about ways to use bots to answer common questions and to spread important campaign materials. We haven’t had a chance to figure out how to we could best use messenger apps at scale — or if we should. We always are trying to keep an eye on new platforms. Scott Nolan Smith is a founder and board member of the Digital Diplomacy Coalition. He is also a Vice President at Clyde Group and consultant to globally minded organizations and governments. He previously served as head of digital at the British Embassy in Washington. This interview has been lightly edited for clarity. This post originally appeared on the Clyde Group Medium publication. Washington is the quintessential diplomatic town, home to embassies representing nearly every country in the world and most international organizations — including the European Union. 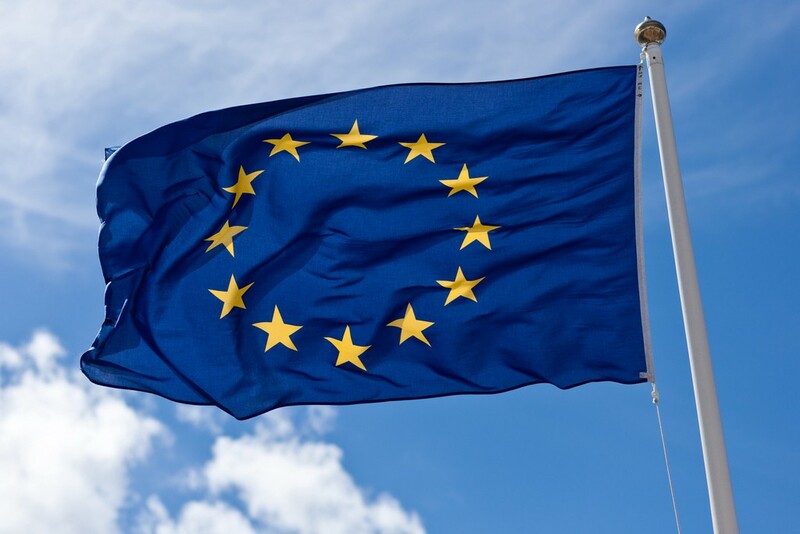 The EU Delegation in Washington represents the interests of the European Union in the United States, in conjunction with the embassies of the 28 member nations. It’s a unique diplomatic entity and one which requires a distinctive approach to public diplomacy communications. Recently, I spoke with the new counselor overseeing press and public diplomacy for the delegation, Maria Belovas. While she has only recently taken up her new post — she began her new position last month — she comes to D.C. having served as head of communications for the Estonian Foreign ministry and as a diplomat in the Estonian foreign service, with previous assignments in Lisbon, Washington and at headquarters in Tallinn. Maria provides insights into public diplomacy at an international organization and how technology continues to impact diplomatic engagement — exploring the intersections of communication, international relations and public interest. What are you most excited about in your new role? How does it feel to be back in Washington? Maria Belovas: I was in the Estonian Foreign Service for 10 years, three of which I served in the Estonian Embassy in Washington. Now I am a diplomat for the European Union in Washington and it is good to be back and moving forward at the same time. It is an interesting time to be working on the relationship between the United States and the European Union. I’m excited about the prospect of putting myself to the test here, as a diplomat, as a European. How is public diplomacy different for international organizations than for countries? MB: In essence, it isn’t. The general idea of public diplomacy is to reach out to local audiences, to explain and promote your views, expand your networks and gain friends — whether you are representing a country or a union of countries. What are the challenges in equally representing the interests of the EU and 28 diverse member states? MB: When you represent the EU, you represent the member states. The EU exists because of the member states and at the end of the day they decide the direction of the EU. The challenge is how we coordinate and work together in an optimal way — and the excellent cooperation among member states and the EU here in Washington is actually often singled out. How has social media changed your role and function in diplomacy? MB: Digital evolution has been quietly changing the way we communicate, and diplomacy has not been left untouched. 10 years ago, social media was considered a niche project for the junior staff to fiddle with. Today, not even the most conservative of diplomats can ignore the necessity of being social media literate. With a near constant overflow of information, we are all fighting for attention — using a wide range of tools to get through is key. What do you expect an average day in your position will look like? MB: I have a great team of people around me, so the expectations are way above average every day. The EU Delegation’s press and public diplomacy efforts cover a lot of ground — everything from traditional media relations, digital communications strategies, to events, speeches, culture and much more. I look forward to diving in. The first UN Social Media Day will take place at UN Headquarters on Friday, January 30, 2015. UN grounds pass holders are welcome to attend the event, featuring panel discussions and briefings by high-profile experts about the constantly changing social media landscape. Social media professionals, digital diplomacy practitioners and academics will share their experience, discuss trends and provide interesting insights into their work. The event will be opened by Maher Nasser, Acting Head of the UN Department of Public Information, followed by a keynote speech delivered by Adam Snyder of Burson-Marsteller on the latest “Twiplomacy” study. Three short “TED” style talks will also showcase how three different organizations have used the power of digital media to create online movements through strategic storytelling, community-generated content and amplifying action. All are invited to join the conversation online by using the hashtag #SocialUN. The day will also be webcast live via the UN Webcast and on the UN YouTube channel. This one-day event is jointly organised by the UN Department of Public Information’s Social Media Team, the Digital Diplomacy Coalition, the Consulate General of Canada, the Permanent Mission of Canada to the United Nations, the New Zealand Permanent Mission to the United Nations, the Permanent Mission of the Kingdom of the Netherlands to the United Nations, and the Consulate General of Switzerland. We welcomed a Deputy Foreign Minister, senior government advisors, as well as dozens more diplomats driving innovation from within government and key private sector individuals integrating outside technologies and expertise into the public sector. The Digital Diplomacy Coalition, in partnership with Tumblr and the Consulate General of Canada in New York, presented a panel discussion on 28 October at Tumblr HQ in New York City to explore trends in digital diplomacy to predict where we are heading and how technology is impacting international relations and international organizations. Opening Remarks by Canadian Consul General in New York, John F. Prato. The Digital Diplomacy Coalition (DDC) is growing yet again! 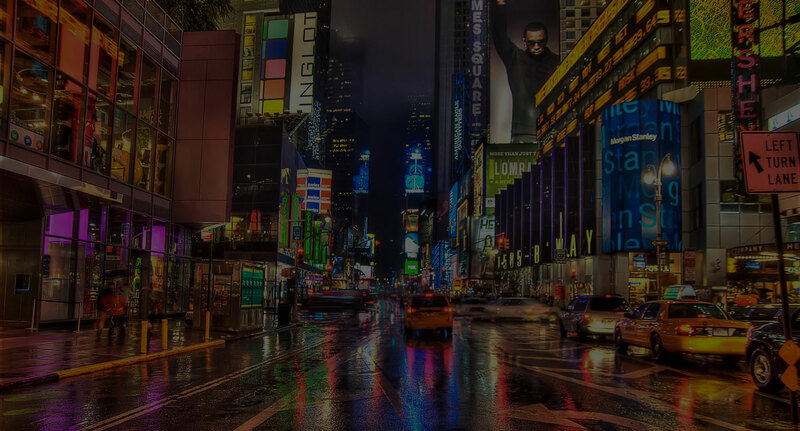 We’re excited to welcome DDC New York to our Network as our second expansion DDC Chapter. A DDC Chapter is a local (city, country or regional) organization in the DDC Network designed to bring together the diplomatic, international affairs, and tech communities from the local area. Each chapter is lead by a small group of volunteers from the local DDC community. The DDC community started as a handful of digital practitioners in Washington, DC gathering to talk shop and share our stories. Today we have held over 25 key events, ranging from workshops to thought leadership panels to half-day conferences. We’ve engaged with over 3000 diplomats, technologists & communicators in Washington, DC and beyond. We’ve also partnered with some amazing organizations — Google, Fosterly, FleishmanHillard, the UN Foundation, 1776, SAIS, foreign governments & embassies, and many others. DDC New York will be holding a Digital Diplomacy Happy Hour on 22 September to introduce the DDC to New York, and tease their upcoming formal launch event in October. The New York Chapter follows Ottawa which launched this past June. We are actively working in other cities to build DDC Chapters and expand our DDC Network to build a truly global community. 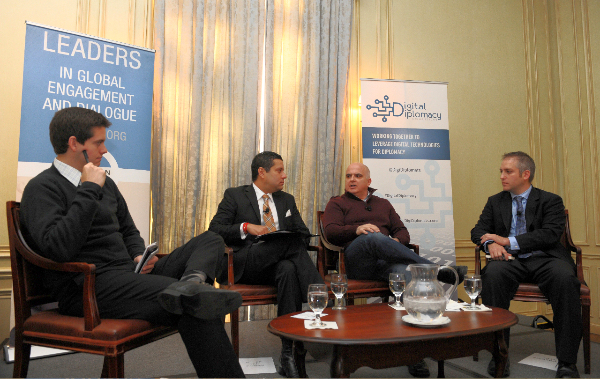 The Digital Diplomacy Coalition (DDC) brings together the diplomatic, international affairs and tech communities to share ideas & best practices for leveraging digital for diplomacy.